Countdown to the poison centre notification deadline for mixtures intended for consumer use. With legislative requirements varying significantly across EU member states, submitting data to poison centres is a complex process. Through the provision of expert advice and technical resources, NCEC is able to assist organisations in complying and avoiding the financial and legal costs of non-compliance. NCEC offer a full poison centre notification service for companies who have an obligation to notify their hazardous mixtures and biocides. We will identify the specific data requirements for each Member State, tailored to your product range, and then liaise with the appropriate appointing receiving bodies to notify this information. You will then receive confirmation of notification and allocation of the poison centre numbers to include on your safety data sheets, where applicable. Reduced time, expense and resource investment required to understand the complex notification requirements of poison centres in all EU Member States. Reduced registration costs - NCEC will determine where group submissions can be made to reduce the number of notifications that must be completed and the appointed receiving body’s costs. Optimisation of your resources by determining what your actual obligations are and what products needs to be registered. Compliant certification – notification to some Member States requires an additional security certificate for online submissions, at an added cost. These certificates must be delivered in person, often in country, and are often the responsibility of a single person in the organisation. NCEC hold security certificates which can be used on your behalf to make the notifications at no additional cost. Ease of communication - all communications with NCEC can be conducted in English, whereas many receiving bodies insist on communication in the local language. Bespoke service - our services can be tailored to your specific needs, we help clients prioritise by volume of product and hazard to focus your available budget. We can also provide consultancy support to help you undertake your own registrations. As well as full notification services, bringing together all the above elements NCEC offers a company specific impact assessment. NCEC’s expert team will assess how your company can comply with the regulations, providing detail on the costs and activities of doing so. NCEC will also assess any opportunities for reducing your compliance needs where possible – this will allow you to make budgeting and resourcing options in your business plans. Our poison centre notification package is driven by years of experience; researching each Member State’s implementation of poison centre legislation, and shaping poison centre policy through work with the European Commission. 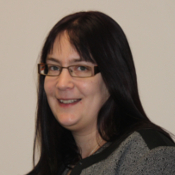 Caroline Raine, our principal consultant currently sits on the ECHA working groups for Poison Centre Guidance and IT tools. This has included thousands of hours of review, extensive discussions with each poison centre and the compilation of comprehensive processes for notification in each country. Choosing NCEC to undertake a full outsourced or support service means you’ll benefit from our experience and reduce your notification time and cost. NCEC’s Poison Centre Compliance Report provides a comprehensive review of the diverse poison centre notification requirements in all available EU Member States. Contact ncec@ricardo.com to find out how we can streamline your notification process.